Tatsujiro Suzuki is a Director and Professor at the Research Center for Nuclear Weapons Abolition (RECNA) at Nagasaki University, Japan. Before joining RECNA, he was a Vice Chairman of Japan Atomic Energy Commission (JAEC) of the Cabinet office from January 2010 to April 2014. 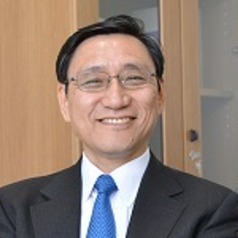 Until then, he was an Associate Vice President of the Central Research Institute of Electric Power Industry in Japan (1996-2009) and Visiting Professor at the Graduate School of Public Policy, University of Tokyo (2005-009), an Associate Director of MIT International Program on Enhanced Nuclear Power Safety from 1988-1993 and a Research Associate at MIT Center for International Studies (1993-95) where he co-authored a report on Japan”s plutonium program. He is also a Council Member of Pugwash Conferences on Science and World Affairs (2007-09 and from 2014). Dr. Suzuki has a PhD in nuclear engineering from Tokyo University (1988).